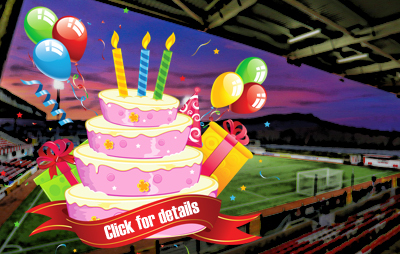 Four Cliftonville players were part of the Northern Ireland Under 17 squad that contested the Elite Round of European Championship Qualifying in Portugal last week. 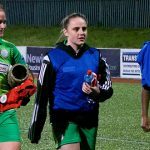 Toni Leigh Finnegan, Lauren Welsh, Eirinn Canavan and Fi Morgan all featured across a three-game schedule that ended in disappointment when the hosts claimed the sole qualification berth from Group 5. After progressing from Group 9 of the initial phase, Northern Ireland commenced their Elite Round itinerary against France last Saturday, with skipper Finnegan starting and Solitude team-mate Morgan being introduced from the bench in the 73rd minute of the 5-0 loss at Estadio Municipal Carlos Duarte in Pampilhosa. 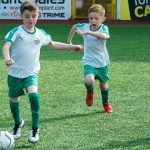 Three days later, the same venue played host to a 6-0 defeat by Portugal, when Morgan was Cliftonville’s sole participant, however Finnegan once again captained the side when Northern Ireland completed their commitments against the Czech Republic last Friday. Morgan played the full game in Mealhada, where goalkeeper Welsh featured as a second-half substitite in a narrow 2-1 loss. 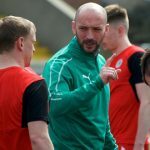 While extending our commiserations to the quartet and their team-mates after missing out on European Championship qualification, all at Cliftonville nevertheless extend congratulations on a personal level for the further international recognition they enjoyed last week.